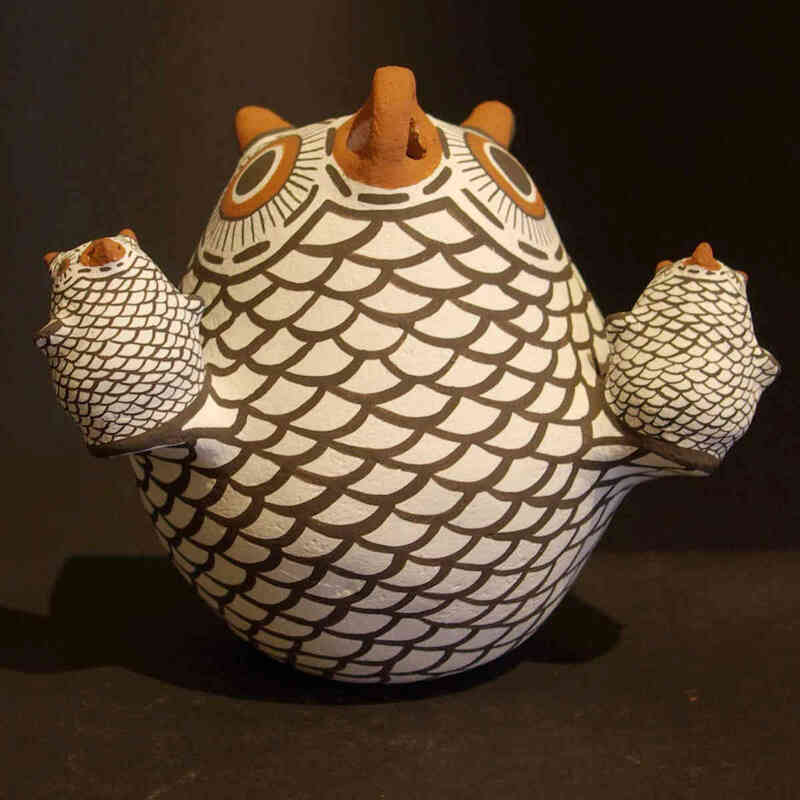 Erma Kalestewa Homer is the daughter of Zuni potter Juanita Kalestewa. 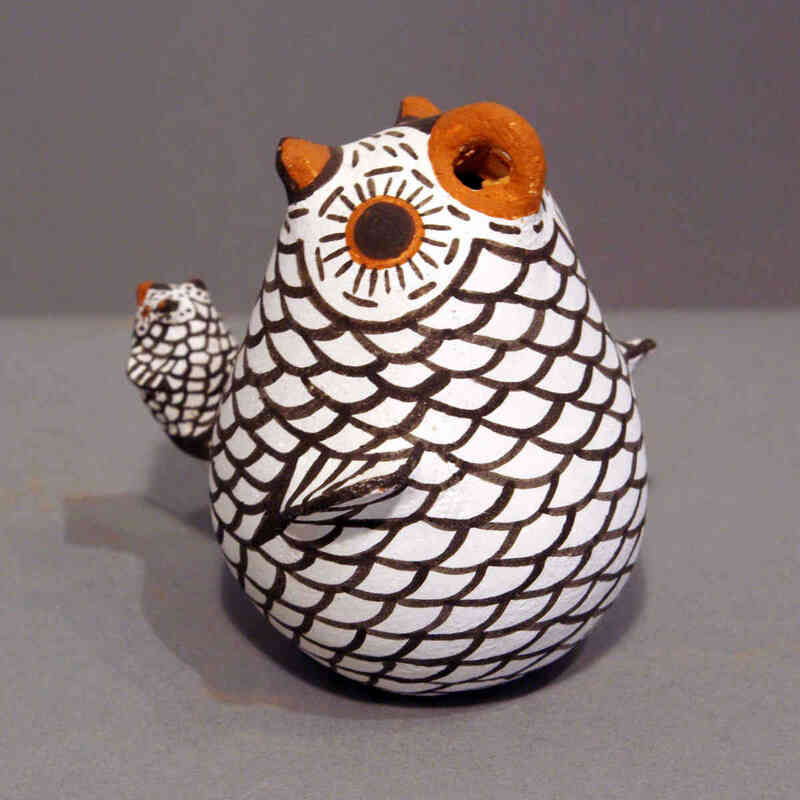 Erma learned the traditional method of making pottery from her mother and, like her mother, she produced all the various styles and figures of Zuni tradition. 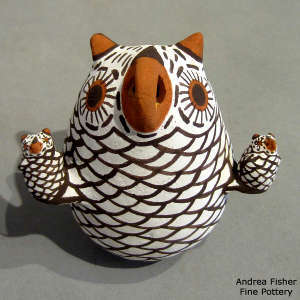 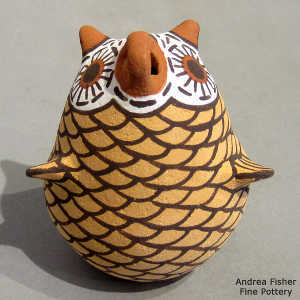 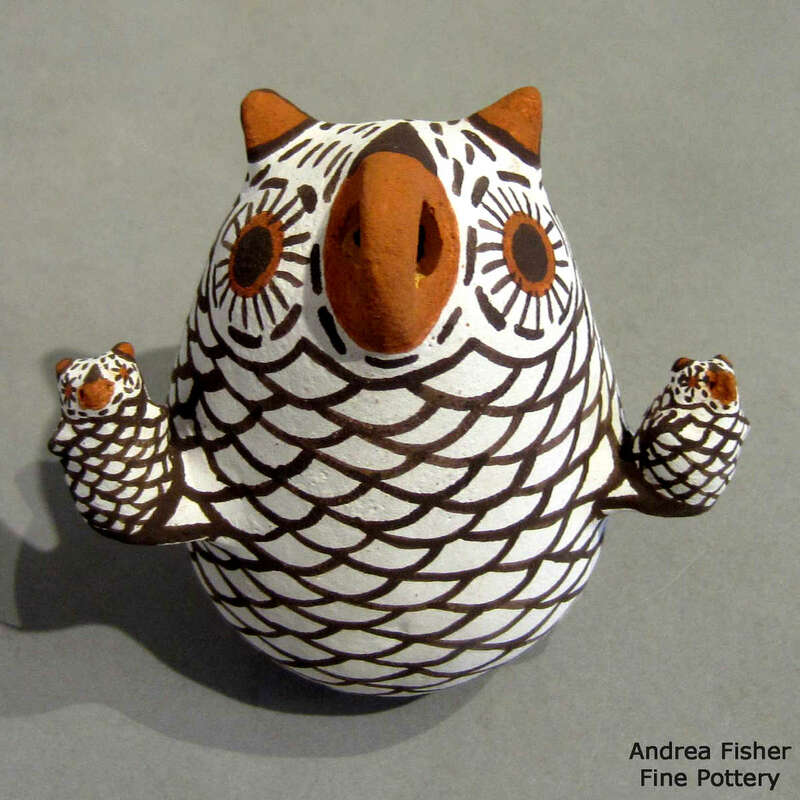 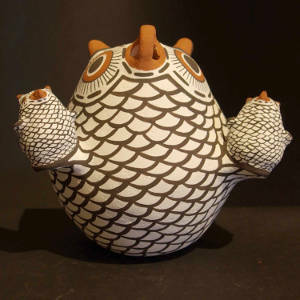 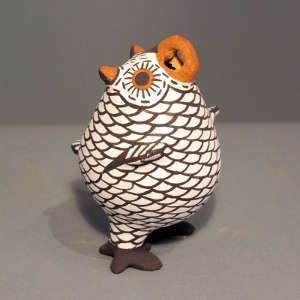 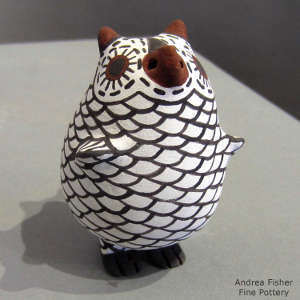 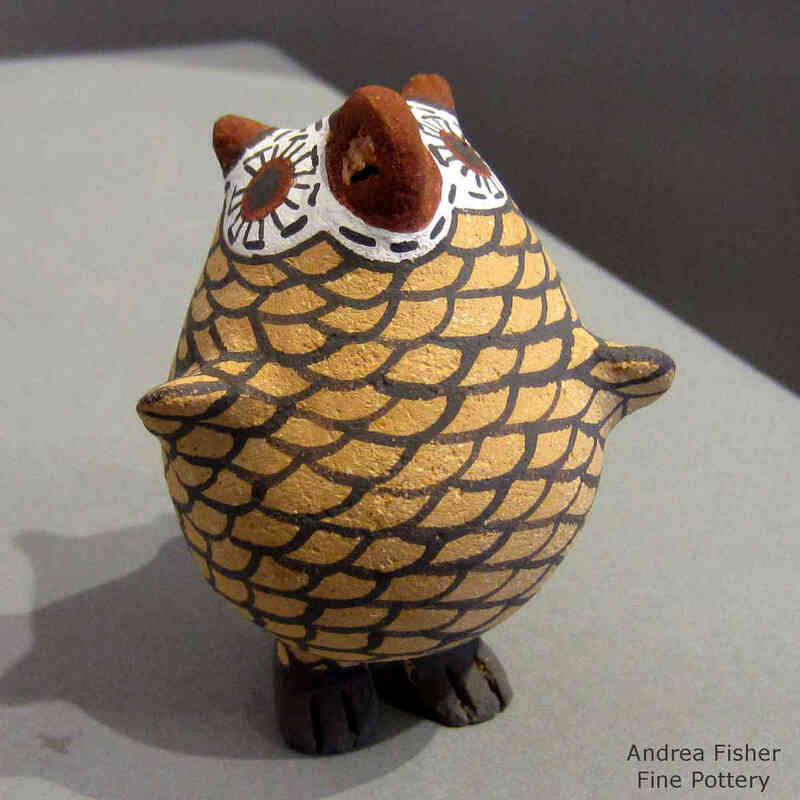 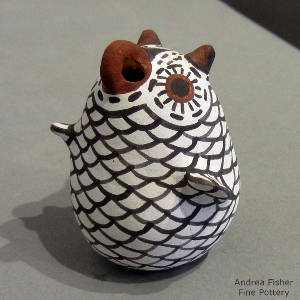 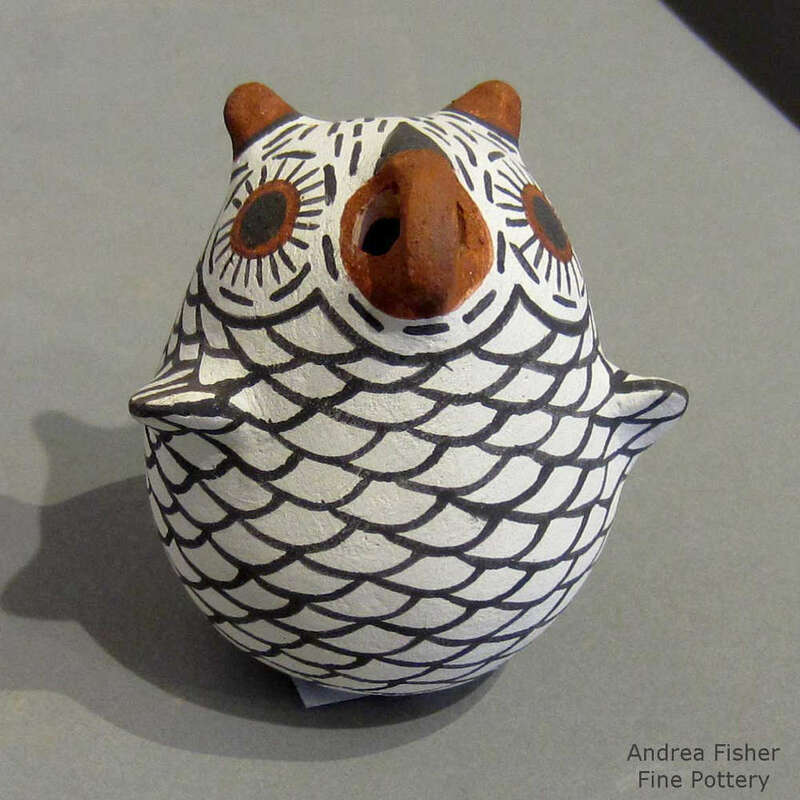 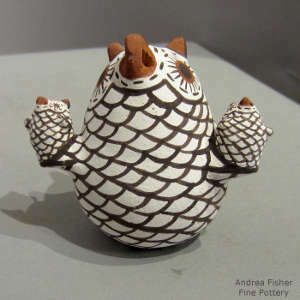 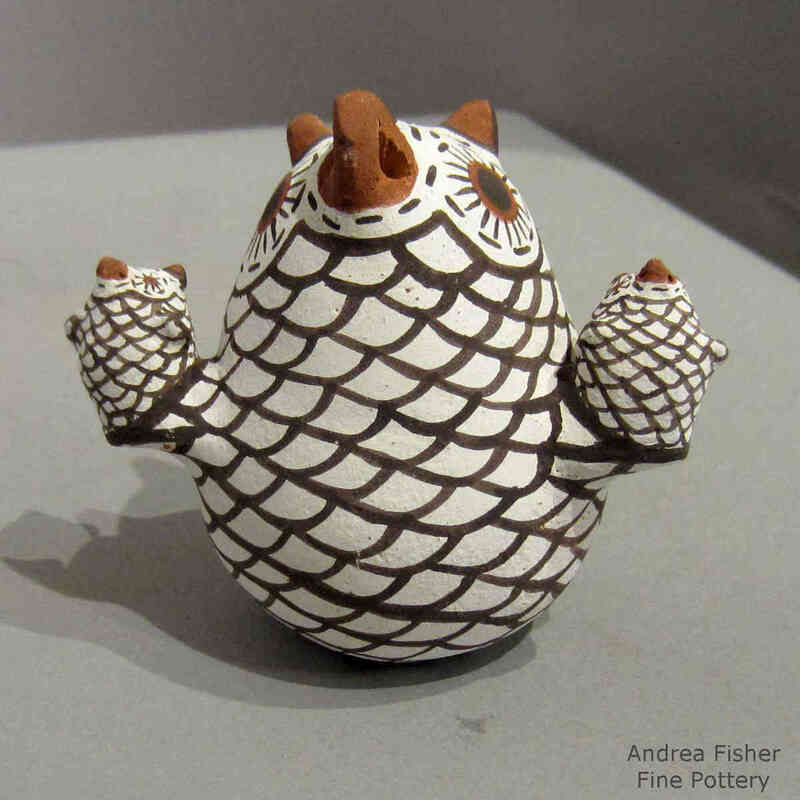 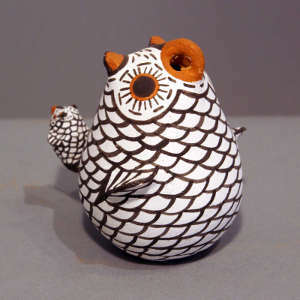 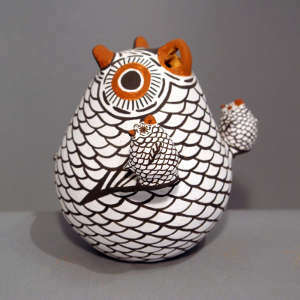 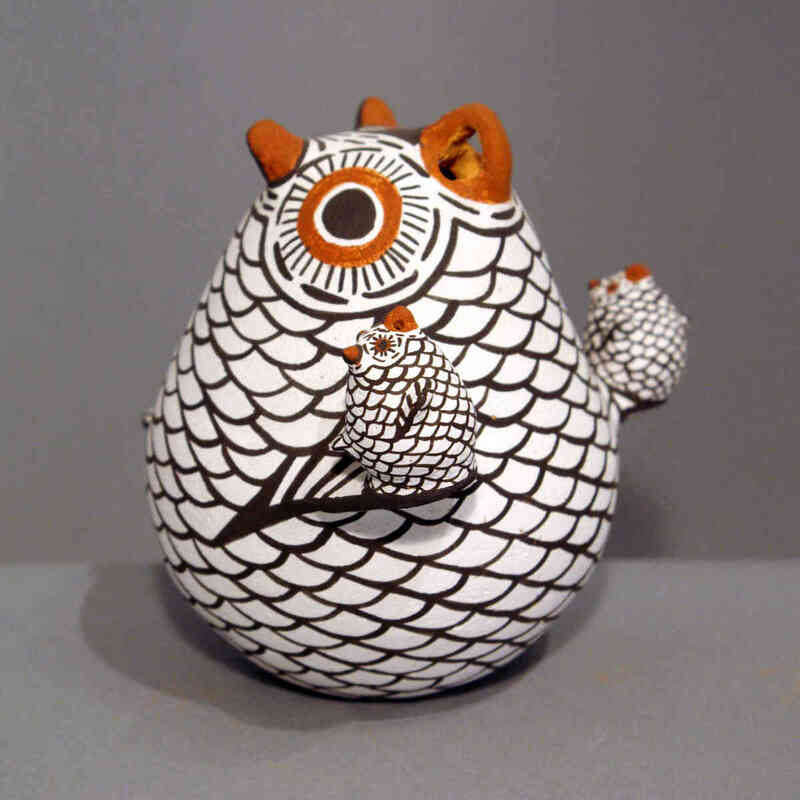 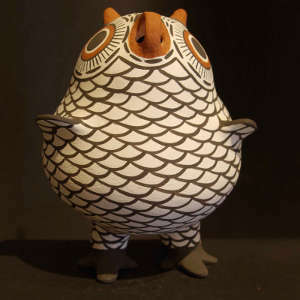 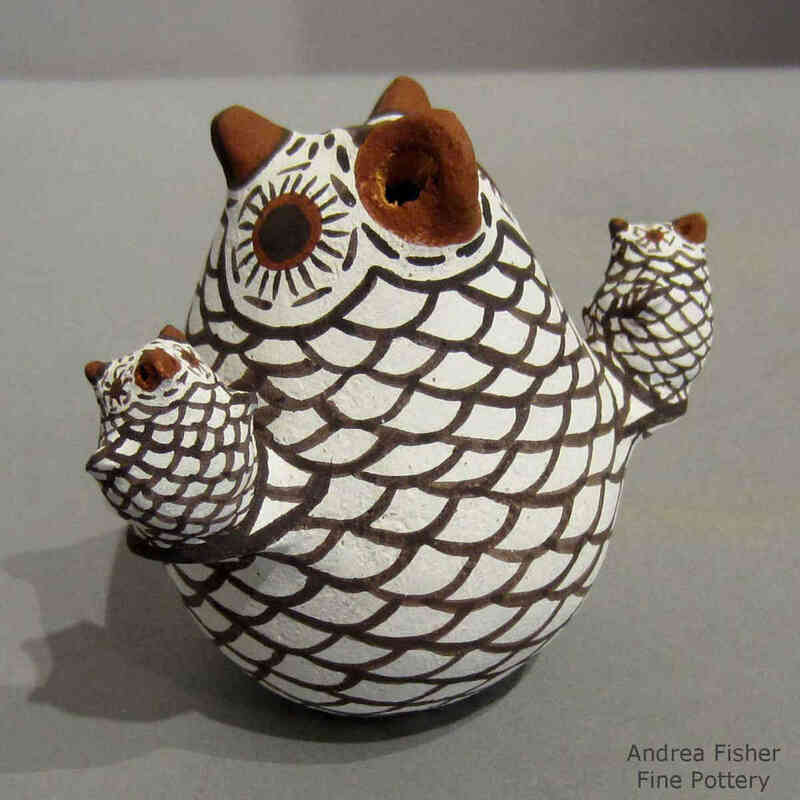 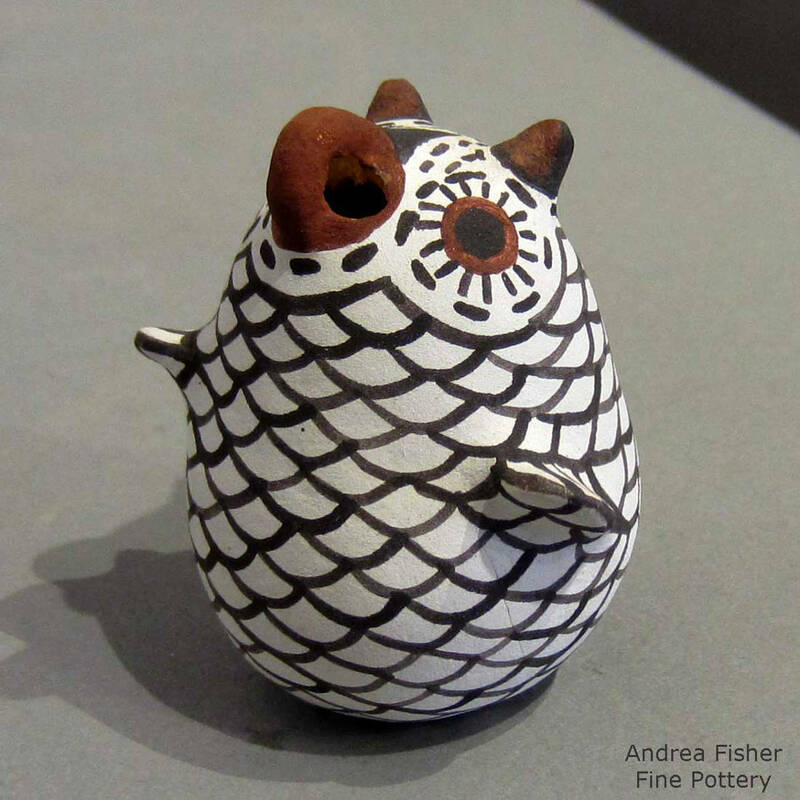 However, she is best known for her owls, the owl being the Zuni version of a storyteller.